The vacillations of the Federal Government over Australia’s future are unlikely to change the makeup of future grid; the market has already decided that coal is an uneconomic and risky investment for the generation of electricity. Ironically the removal of the Carbon Tax has contributed not only to the increase in wholesale prices due to an increased dependance on gas, but has the slowed investment in renewables that has further exacerbated the situation. The second issue is clearly outlined in the following graph which highlights the impacts of delaying measures to clean up our power generation to keep within the ‘carbon budget’. The longer the delay the more radical and sudden the change will need to be and thus likely to cause incalculable negative effects and disruption. 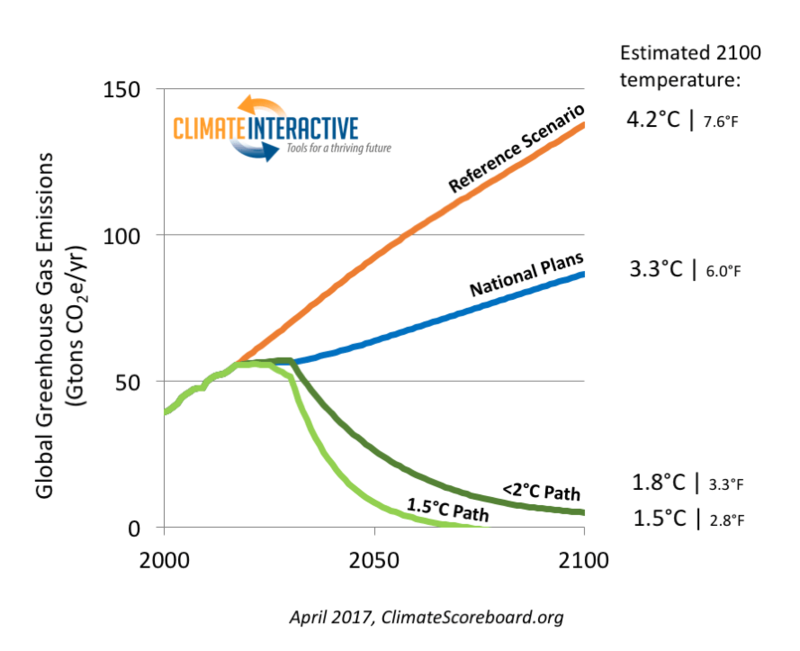 The alternative – exceeding the carbon budget is highly likely to lead to impacts potentially even more disruptive and costly and most seriously, likely to last much longer. Add to this is the very real risk that ‘positive’ natural feedbacks will amplify and dwarf humanity’s emissions and leave much of the world uninhabitable. In terms of Australia, I am informed by those who should know that it could be one of the places most heavily affected, after all, we already experience extreme and sometimes devastating weather events. We should not be held captive by a few reactionary ideologues who feel there world view is being threatened. It is one thing to virulently resist social change, quite another to threaten the future of the world our children inherit. I make no apology for using emotive language, because those that are not willing to accept the science and take the issue of climate change seriously are not just being wilfully ignorant but dangerous. The Finkel Review into Australia’s future energy makeup was released on Friday June 9 2017. While greatly anticipated, it proved to be somewhat underwhelming to many interested parties. The report seemed designed to accommodate both political realities as well as technical challenges, and in the process, may have failed to inspire anyone. Reading the Finkel Review, one is reminded of Einstein’s observation: Logic will get you from A to B. Imagination will take you anywhere. At a time of extraordinary, disruptive and exponential change in the Energy Industry, one might have assumed that imagination was an essential element in articulating a vision for an energy future that is both environmentally responsible and appropriate for the 21st century. Many will disagree with this sentiment, but history has shown that disruptive change has not often been well managed by society. One only has to look at how Governments reacted to the introduction of motor vehicles as an example of decisions both blinkered and lacking vision. The report still managed to provoke a typical reactionary response from the conservative right wing, whose blinkered obsession with coal as the only legitimate and acceptable source of energy, flies in the face of virtually everyone else in the industry, and the majority of Australians, if recent polls by the Lowy Institute and MyVote are anything to go by.